All clam chowders are not made equal. You’re likely familiar with the basics of clam chowder, but if you’ve ever traveled up the Northeast coast, you know it’s much more complicated than a simple order. There are four distinct styles of clam chowder — and only one of them is the best. All clam chowder has the basics: clams, potatoes, salt pork or bacon, and onion. After that, it’s a wild, wild clam chowder country out there. 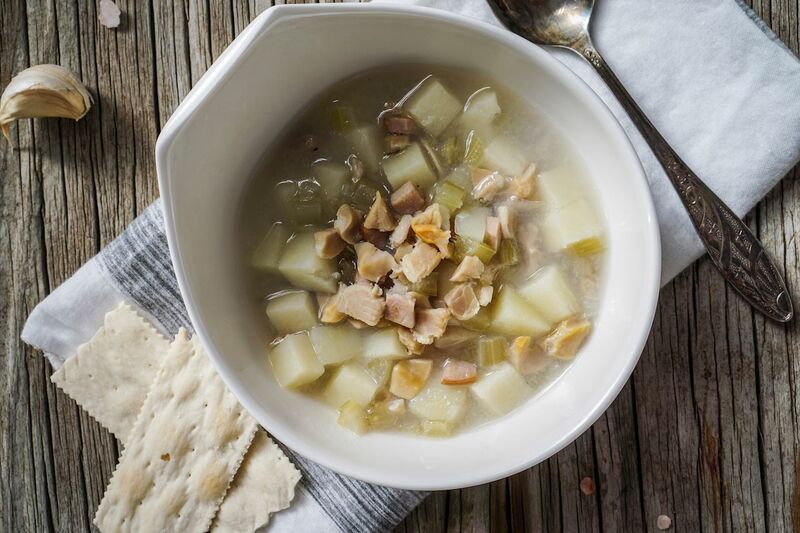 From the tip of New England to the bottom of Manhattan and everywhere in between, a debate rages on about which style of clam chowder reigns supreme. Sure, the debate is less fired up than the argument over the best style of pizza, but it’s no less important. These are the four main types of clam chowder you’ll come across in your life, ranked from worst to best. Sorry, Rhode Island. First of all, this isn’t even a real chowder. A chowder is considered a soup that often uses milk or cream and has a thick consistency. Rhode Island clam chowder has neither of those characteristics. Nevertheless, it retains the name — hence its last-place spot. Rhode Island clam chowder has a clear broth. It also has a strong presence of herbs like parsley and thyme. Rhode Island chowder makers also use a large regional type of clam, called a quahog, that the others don’t. There’s also a red version of Rhode Island chowder made with tomato puree, but it’s just about as thin as the clear broth chowder of Little Rhody. No offense to Rhode Island in general, but this is more like chicken soup with clams thrown in. It’s easy to spot Manhattan clam chowder by the reddish broth from the addition of tomatoes. The add-in dates back to Italian and Portuguese immigrants in the early 1900s in New York City. A proper Manhattan clam chowder base always uses tomatoes or tomato paste. It also lacks the cream of a New England chowder. Manhattan clam chowder also has more vegetables like green peppers, celery, and carrots. New Englanders, understandably, are not fans of this city-slick chowder. So much so that, in 1939, Maine introduced a bill that outlawed putting tomatoes in chowder. 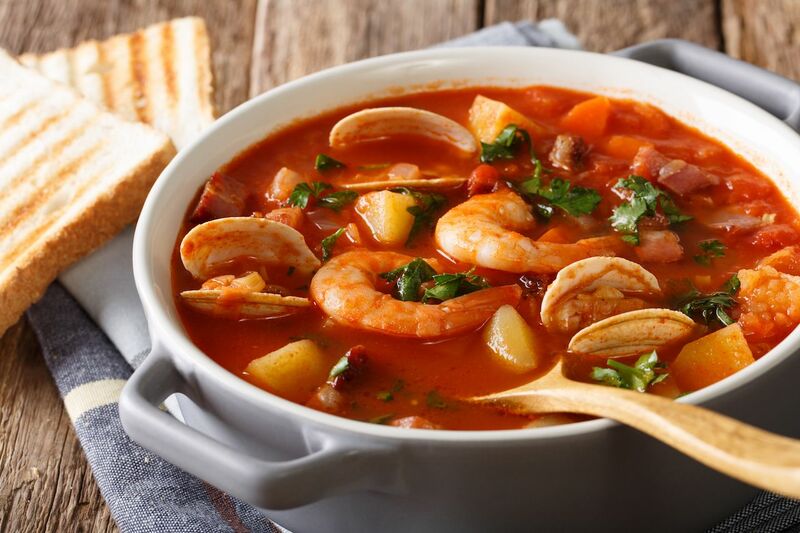 Manhattan clam chowder is more like a hearty tomato stew than clam chowder. The acidity of the tomatoes can be overpowering, and the broth is often watery. It’s no Rhode Island, but it’s barely a chowder. Note: New Jersey clung onto and copied New York’s chowder but added Old Bay seasoning. For the purpose of this list, it is in the same boat as Manhattan clam chowder. If a Manhattan and a New England clam chowder had a baby, it would be the Long Island clam chowder. This soup gets its name from its location between New York and the New England coast. It takes aspects of both for a marriage of flavor. Or it’s a cop-out, depending on your point of view. Ingredients vary, but all Long Island chowders have tomatoes and cream. The broth tends to be a creamy tomato blend that’s thick like New England clam chowder. Long Island style is relatively new to the soup world, but it is catching on. The best attribute about Long Island clam chowder is that it’s very similar to New England style. The combination of a light tomato broth with the addition of some cream is a perfect twist on a classic favorite, and you can’t be mad if it’s the only chowder on the menu. 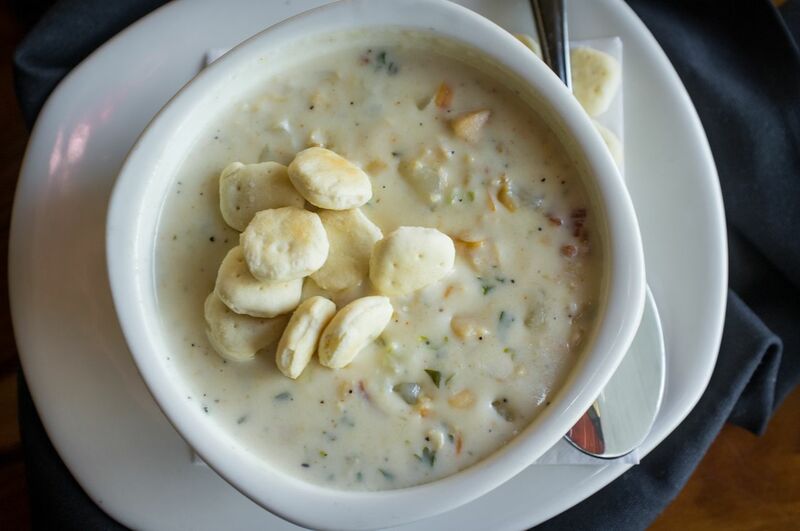 The reigning champion of all chowders is New England clam chowder. It’s always made with heavy cream or whole milk as the base. That’s what gives a true chowder its white color and thick consistency. No vegetables besides potatoes are used. In addition, a cup of “chowda” is always served with some oyster crackers to crush and sprinkle on top. This is the chowder to end all chowders. It’s served in restaurants around the country, but Maine and Massachusetts are where it’s most popular. This style of chowder dates back to the 1700s, and it’s been served in Boston’s Union Oyster House, the oldest continuously running restaurant in the US, since 1836. To many people, New England chowder is just known as clam chowder — and for good reason. It’s the best thanks to a balanced ratio of potatoes to clams and a broth that’s filling without being either watery or heavy. Plus there’s no better companion for oyster crackers.